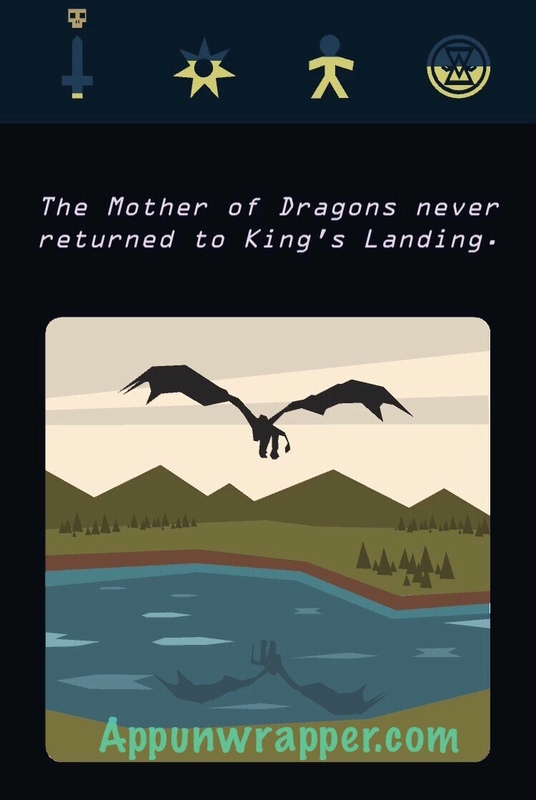 As with the previous Reigns games, Reigns: Game of Thrones kills you in lots of gruesome ways. It can be even trickier to collect the different deaths this time, because you have eight characters to play as. So this guide should help you out if you’re trying to fill in the gaps. I’m still missing a few myself, so please bear with me. 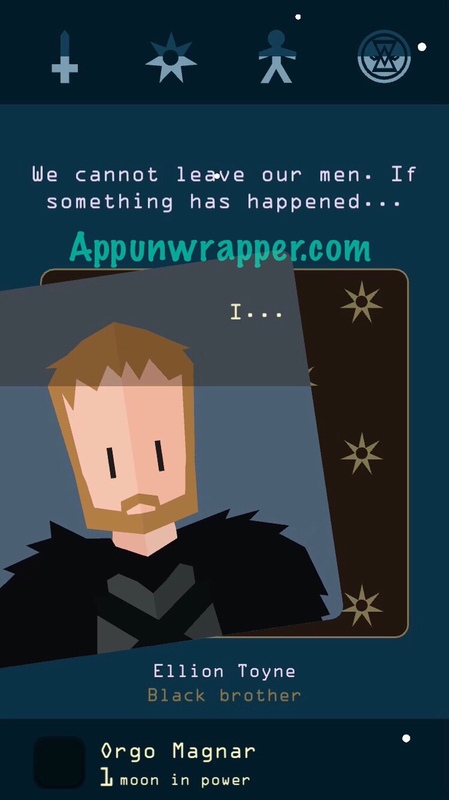 See my Reigns: Game of Thrones review. Daenarys’ Flight: I got this on my first reign, playing as Daenarys. I chose to leave for the Wall to save Jon Snow and then I never returned. 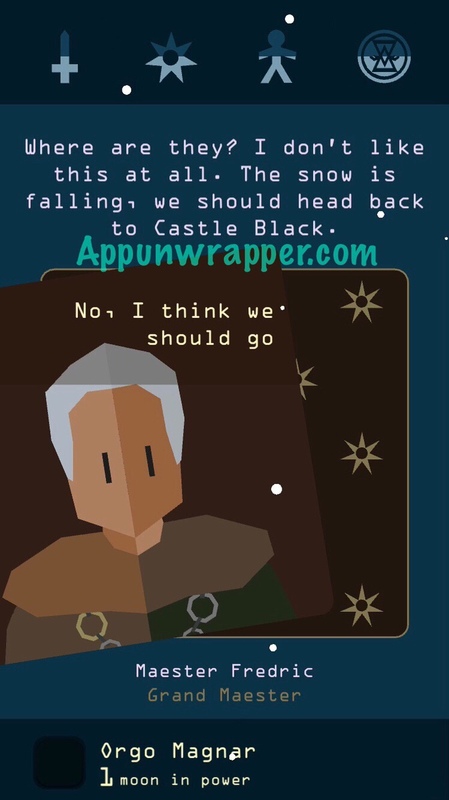 Arya’s Neck: I got this while playing as Arya. I went up the stairs in the dungeon and met Cersei. I introduced myself and then the Mountain strangled me. 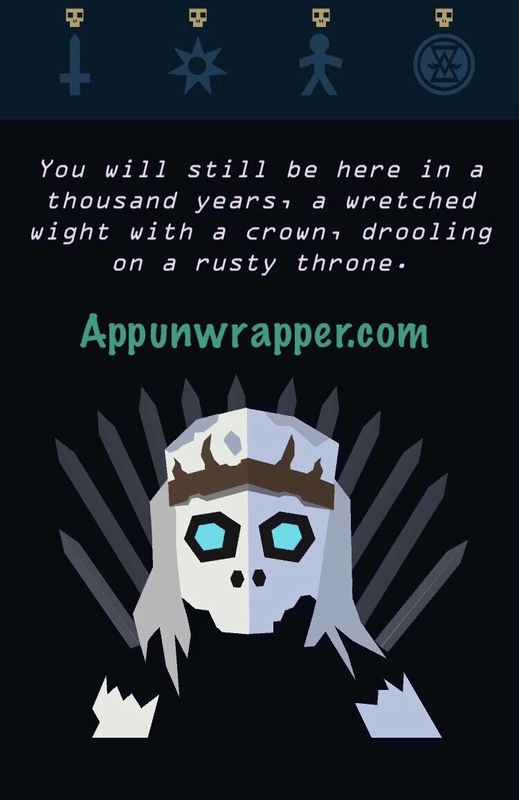 Rusty Throne: I got this from being killed by a White Walker. 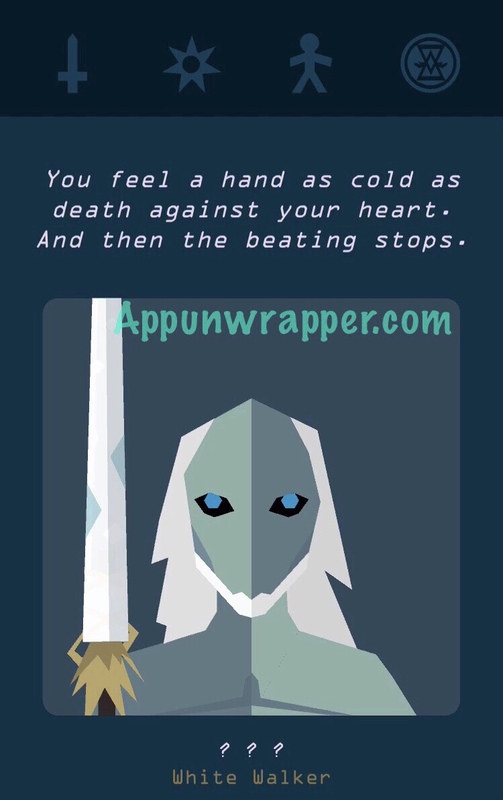 I think you get it anytime you die during winter. Walk of Shame: I got this by losing all my faith. 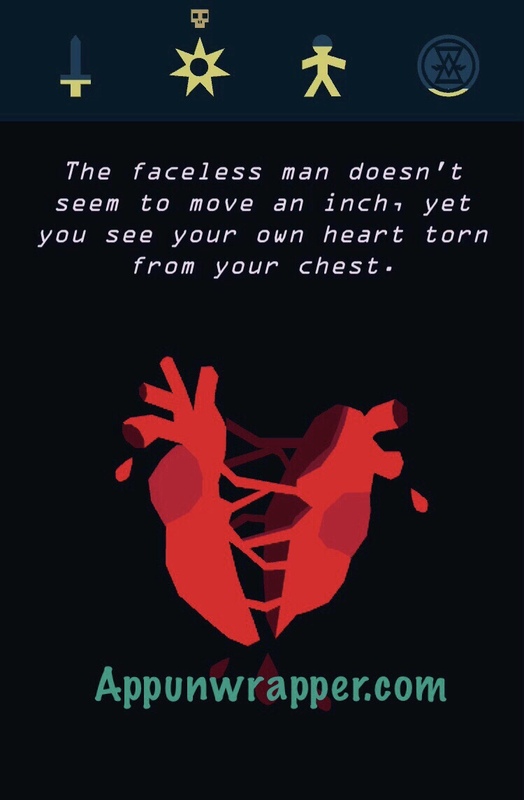 Faceless Man: I got this by having too much faith. 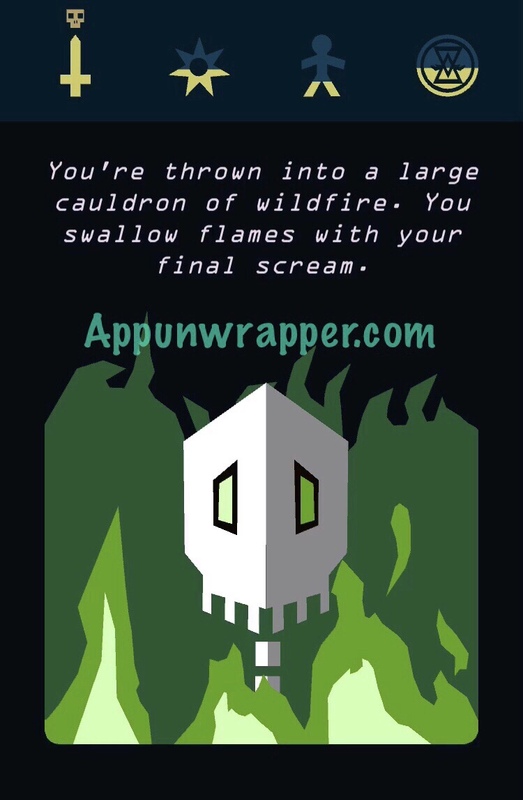 Wildfire Bath: I got this as Arya when I became too powerful. The Pole: I got this by making my people too happy. 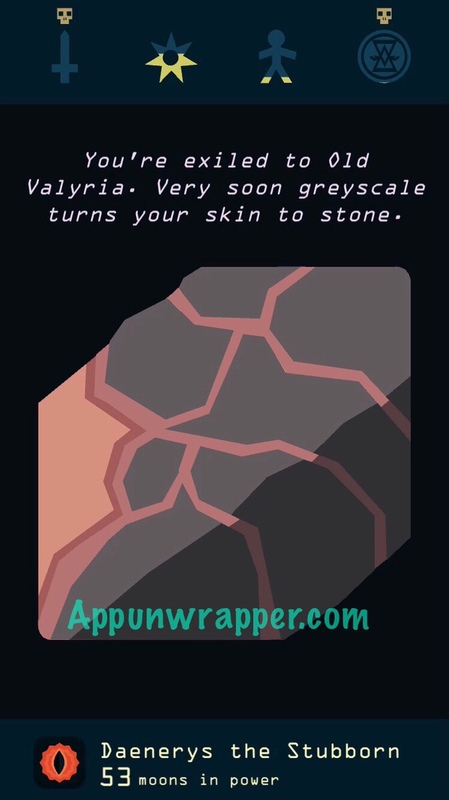 Greyscale: I got this ending twice after surviving winter with Daenarys and with Jon Snow. 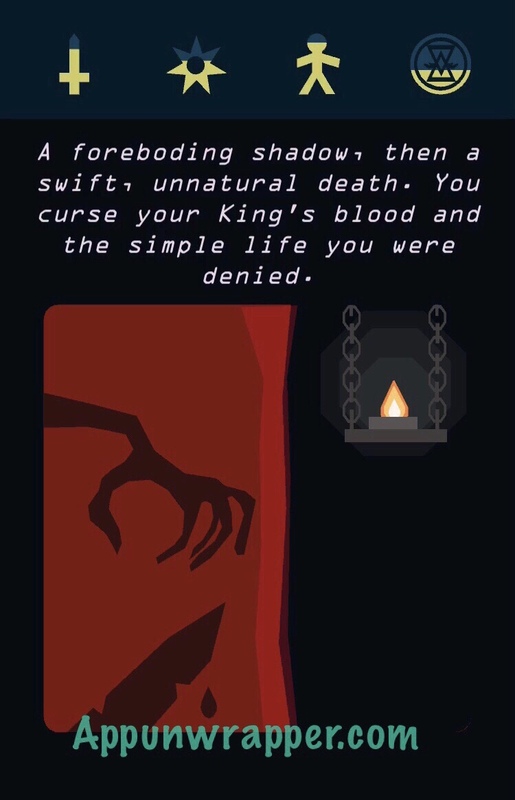 I then died by losing all power. 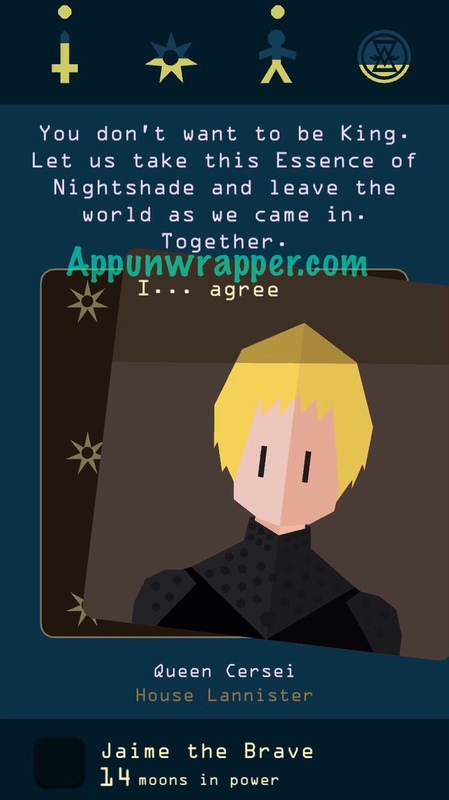 Kiss of the Lover: I got this while playing as Jaime after I agreed to let a woman from House Martell be my lover for the evening. 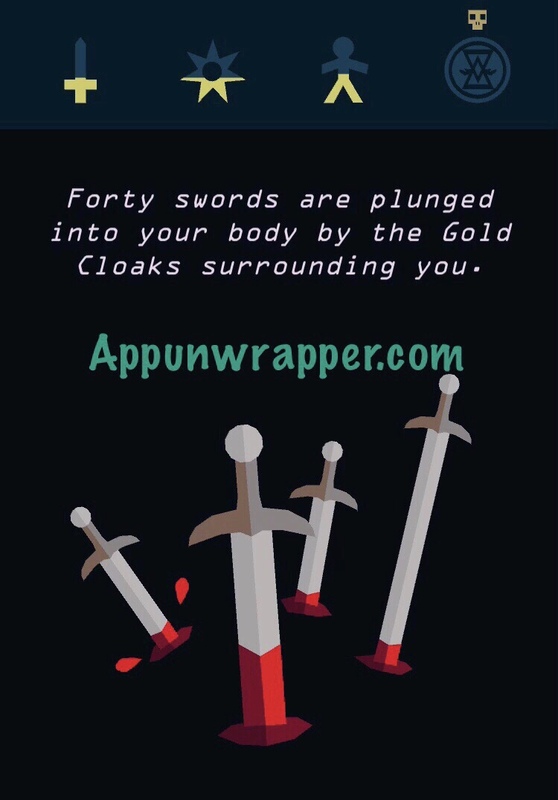 Forty Swords: I got this when I ran out of money. 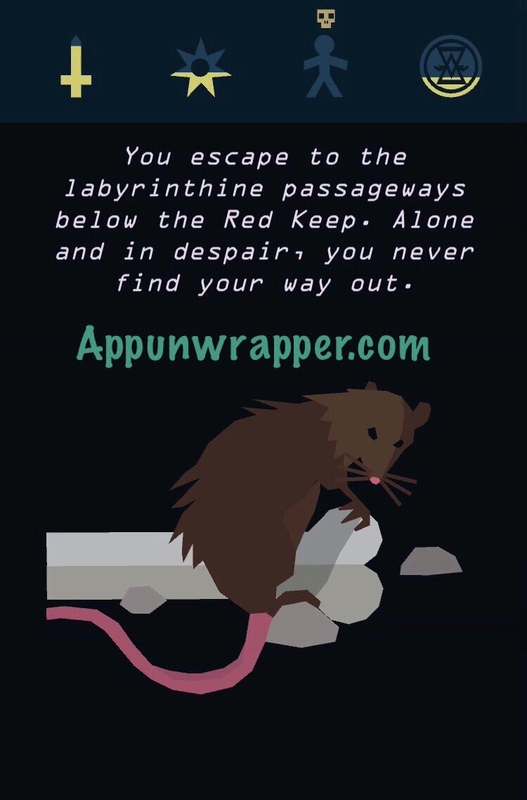 Lost Underground: I got this by having my people’s happiness run out. Mad Revenge: Play as Cersei. Play until Sandor Clegane kills The Mountain. When asked by your maester if he can experiment on him, say yes. 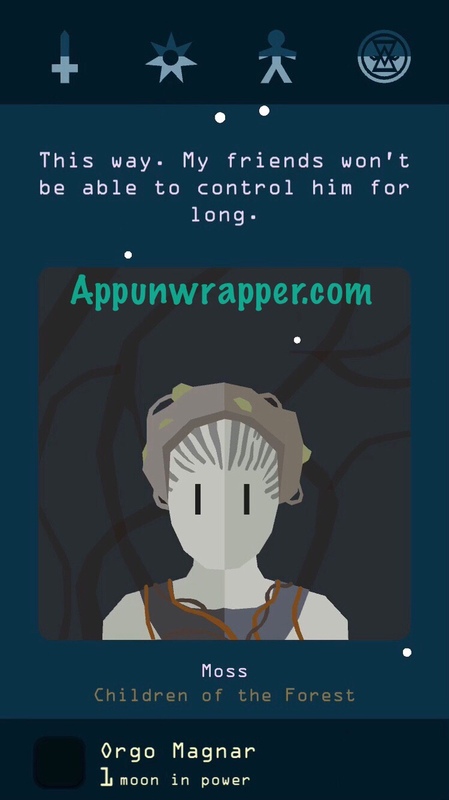 There will be a few more cards where the maester says that there are complications, The Mountain has killed Lord Crakehall, etc. Keep answering “fix him”. 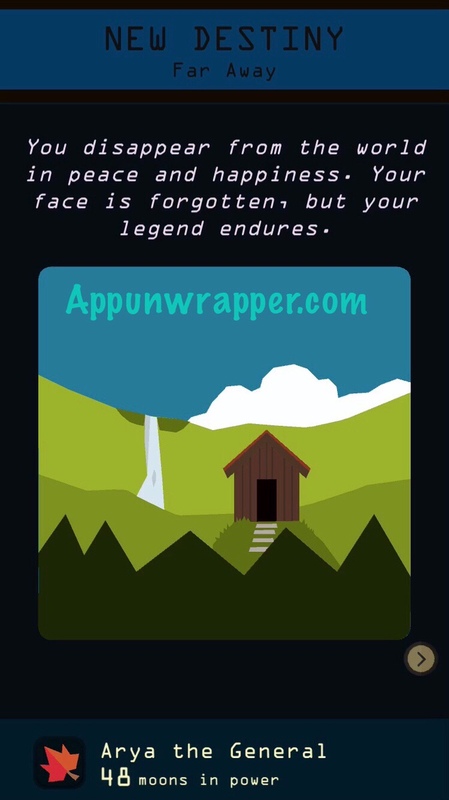 The Mountain eventually goes on a rampage and kills you. 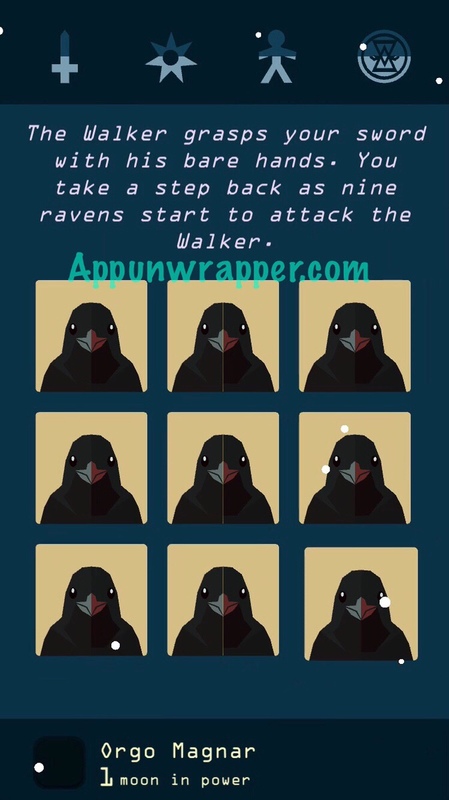 Nine Ravens: After unlocking all nine characters, I chose to play as the Three-Eyed Raven. I was named Orgo Magnar. I headed beyond the Wall because something was calling me. 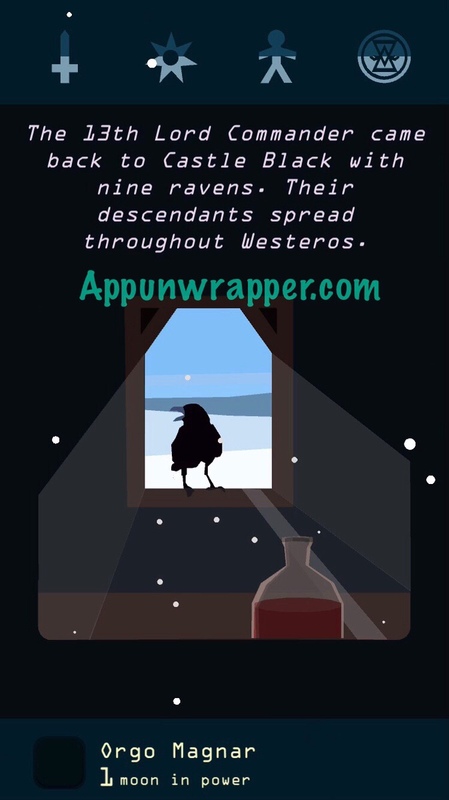 Then a White Walker tried to kill me but the ravens saved me. My game still ended but I got a new destiny. Twins Embrace: I got this while playing as Jaime. At the end of Cersei’s trial, I agreed to take poison with her. 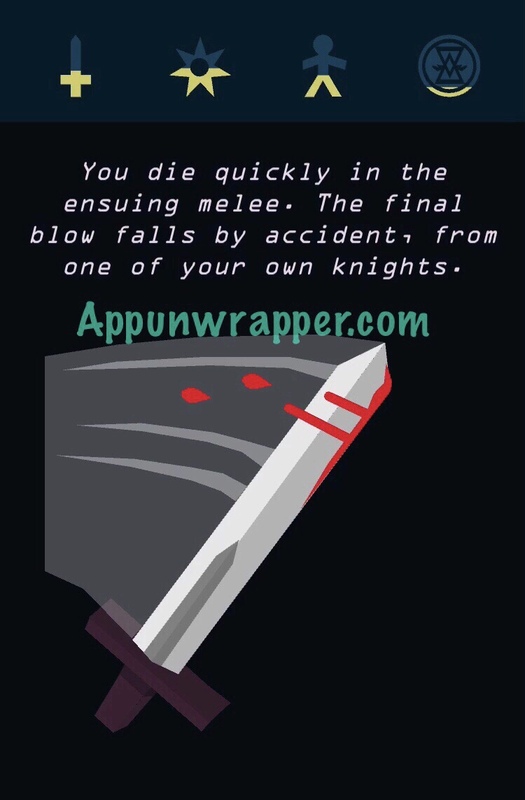 In the Melee: I got this by losing a battle. Butterfly Fever: I got this while playing as Jon Snow. 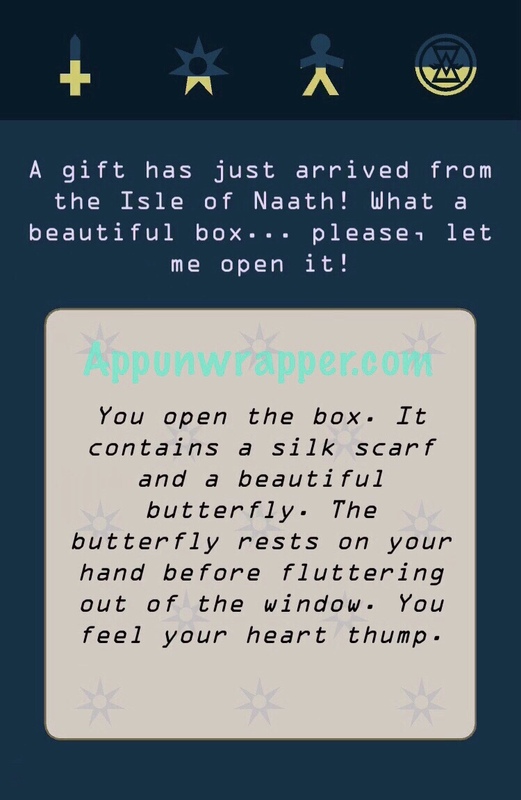 The handmaiden told me a gift arrived from the Isle of Naath and she wanted to open it. I said no because it’s for me and then I got butterfly fever from the butterfly inside. 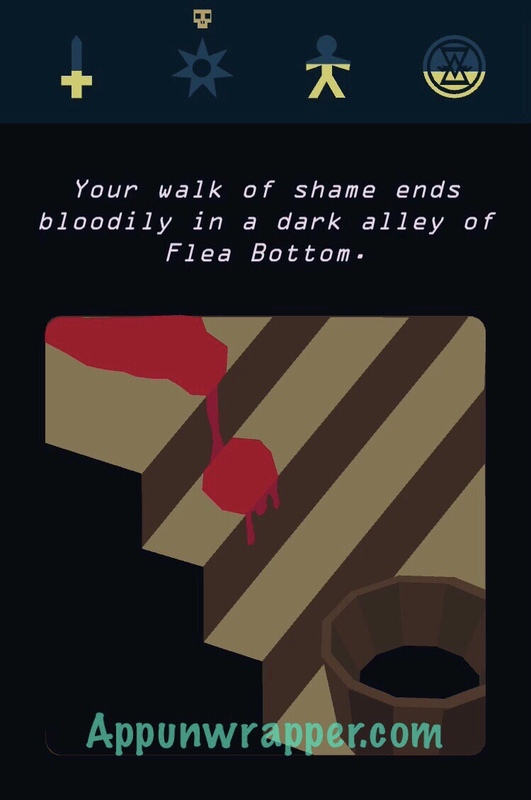 Fangs: I got this while playing as Cersei. 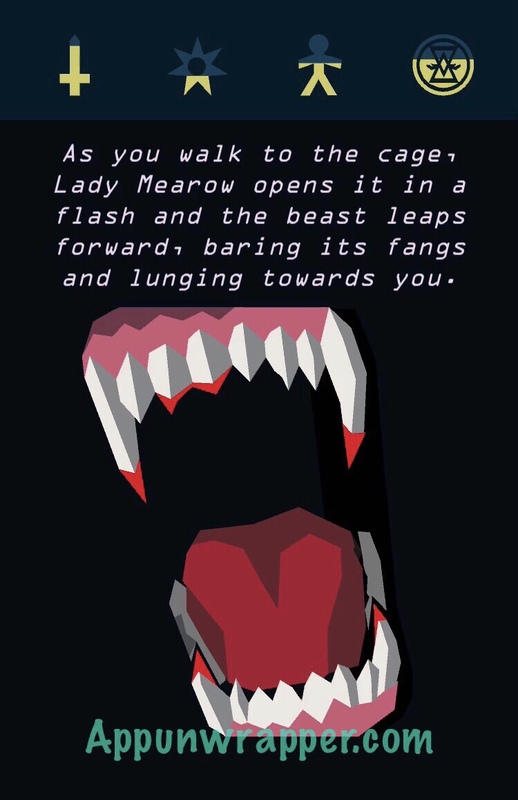 I accepted the gift of a cage and opened it and got killed by a fanged beast. 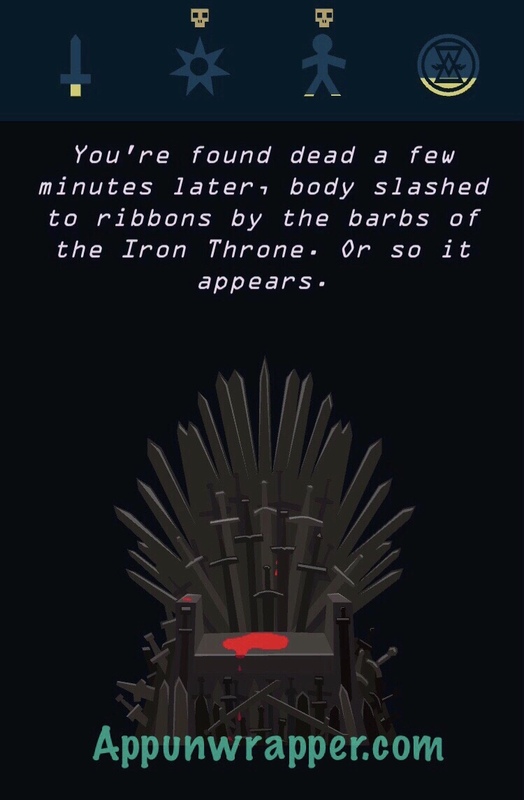 Bloody Throne: I got this while playing as Cersei. 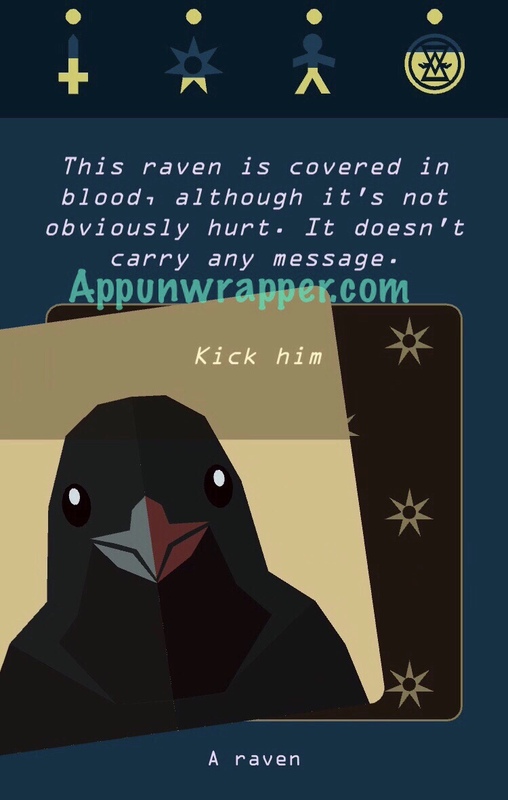 I kicked the bloody raven. Broken Things: I got this by dying in a joust. Silent Sister: Play as Sansa, watch for a card with a Septa saying something like “Would you like to get away from all this?” and agree. 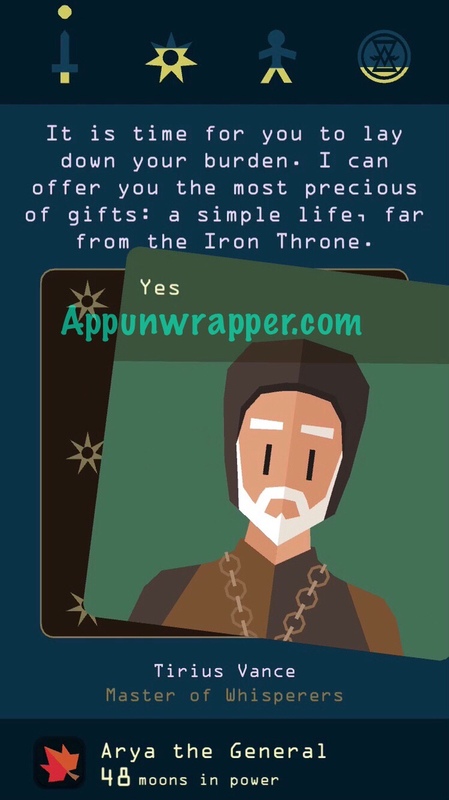 The game immediately ends as Sansa retires to a convent. This happened after I united the kingdom but before killing the White Walkers, so it is not triggered by the “Summer” status. Dragon Hunger: (Thanks Brandon) I’m not 100% sure how I got this one. I think I was Jon Snow and answered the wrong thing when I saw the dragon, resulting in being eaten. 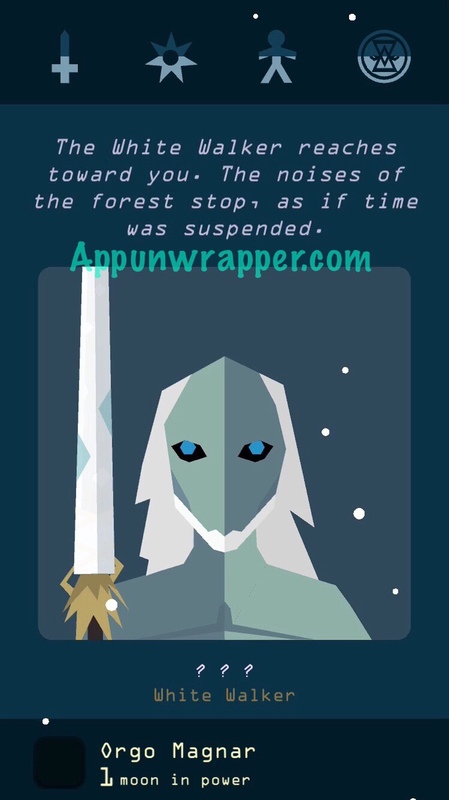 Bitterness: I got this while playing as Daenarys. 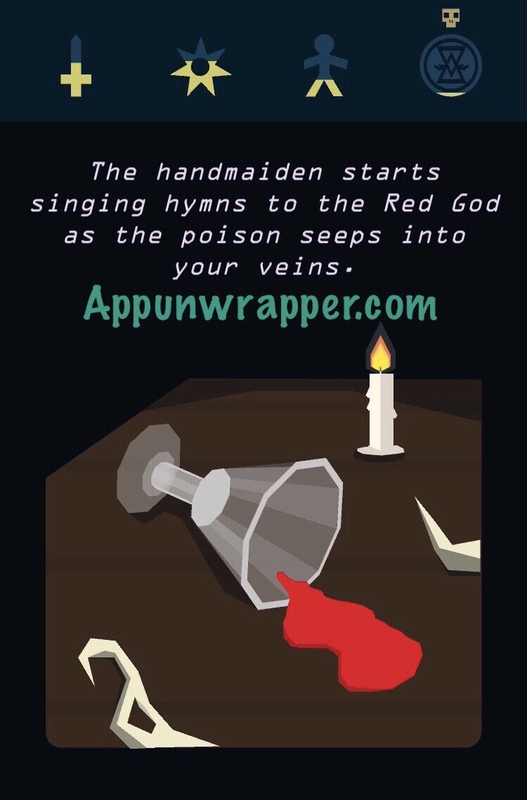 I accepted refreshments from my Handmaiden and she poisoned me. Gendry’s Curse: I got this while playing as Gendry. Melisandre the Red Priestess asked me if we can discuss things further. I said, “Do you know what I wish?” And she answered, “Delights of all kinds.” And I said yes, then I died and got this destiny. Far Away: I got this after surviving winter with Arya. My Master if Whisperers asked me if I wanted a simple life away from the Iron Throne and I answered yes. Remembered: I got this playing as Jaime. 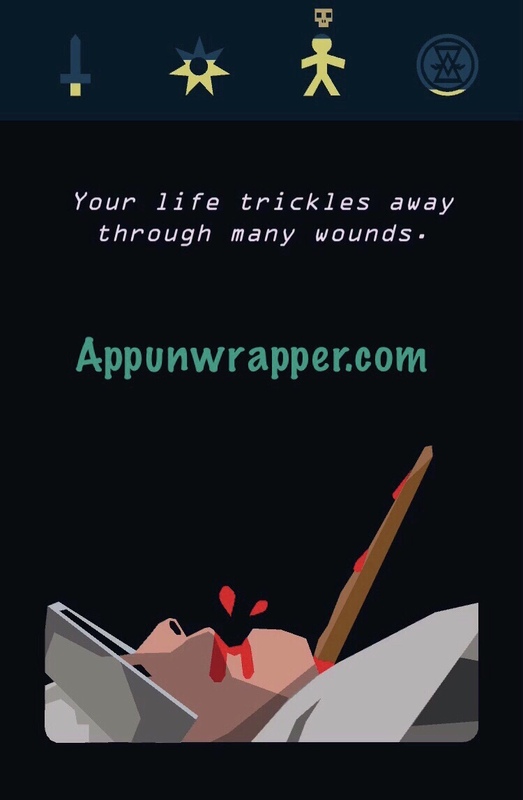 When I got a cut, I refused to let anyone treat it and then a few moons later I was dead. Hmm I find it hard to believe I never died from being too rich, but it’s possible. Thanks! I think kiss of a lover is the one you get from being too rich? It’d fit with Jamie’s parement ability. I understand now. Thanks. Maybe if as Ceresi, keep nagging about wine… (Still unsure. I just got mad revenge. Play with Cersei until someone asks if they can study the mountains corpse. After that I just kept saying “Fix him!”. Eventually he killed me. I got the cards for ‘sad revenge’ with Jamie before unlocking the three eyed Raven but after unlocking Arya. 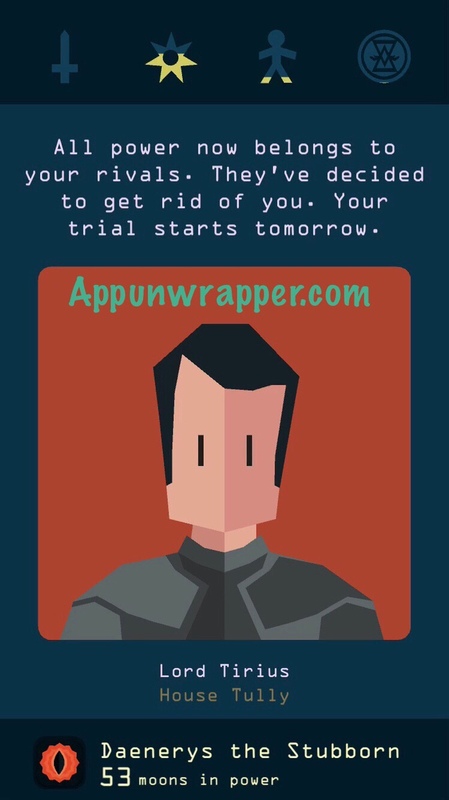 Arya asks to play the game of faces. 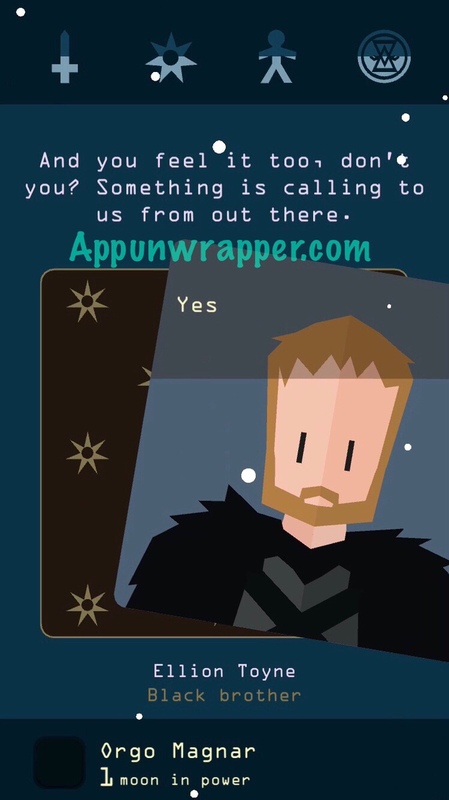 If you say yes, eventually Jon asks if you pushed Bran out of the tower. 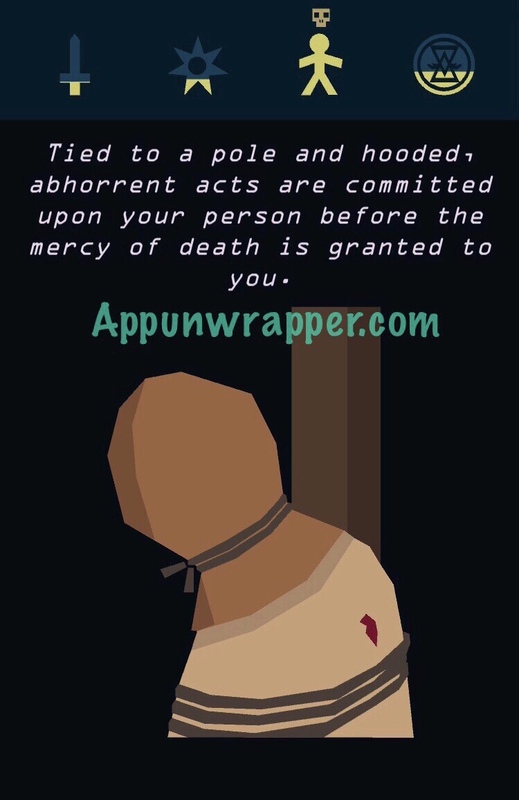 If you tell the truth, they will kill you and you’ll get it. wow, awesome find and thanks!. I achieved Shadowland via Cersei. Choose the proorest guy to be your spy master. 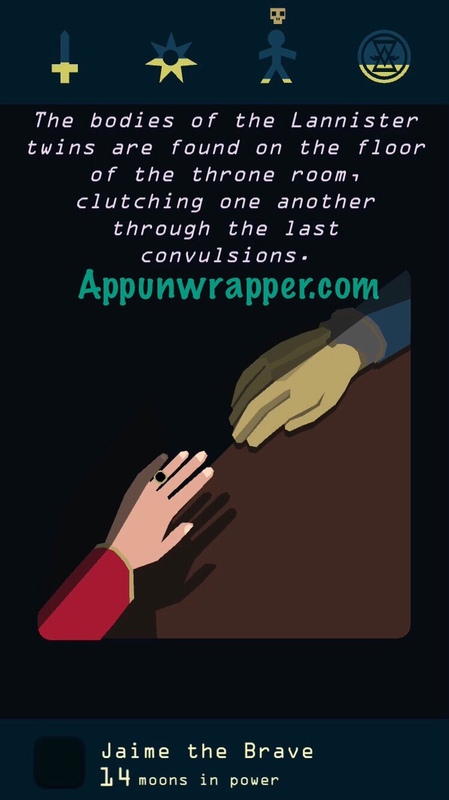 Why he told you someone is plotting to assassinate you, then hide in the Hand’s Tower. 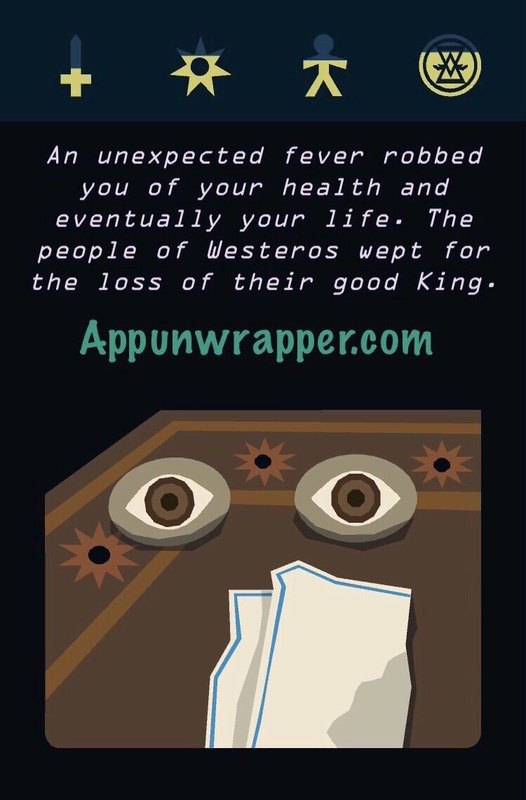 After that, no one will recognise you and you will be banished outside Westeros hence unlock the death ending. BTW, I unlocked this after all characters revealed except the three-eyed raven.